In 2015 Amazon launched Prime Day with a lot of fanfare. The initial promise was to deliver deals equivalent of Black Friday. For most people, the inaugural Prime Day landed with a thud leaving many people disappointed with the deals offered. In a nutshell – no pent up demand. Historically, Black Friday has been the unofficial kick-off to the holiday shopping season. Many shoppers had a gift list to buy and about 30 days to get it done. Black Friday is a welcome solution to tick items off their list and save money. For most people there is no other time of year where there is this level of pent up demand. The holiday list also has two groups. You can break down the shopping list into Us (buying for myself and family) and Them (buying for others). As you can imagine, many people have a lot to purchase for the holidays. Their “Them” list can be long, expensive, and time consuming. Compare the holiday demand with summer demand. There is minimal “Them” shopping. Sure maybe for a birthday, wedding or some other event. The summer is predominately “Us” shopping where people are buying necessities for their household. So, the first year of Prime Day didn’t deliver on most shopper’s expectations, but can Amazon Day eventually deliver on Black Friday energy? Can it overcome the lack of pent up demand? One factor working against Amazon is July timing It is several months too late to take advantage of the spring buying season (another time of year with pent up demand). You could argue it is decent timing for back to school shopping (albeit a little early for some). Timing aside, Amazon does have online dominance in it’s favor. 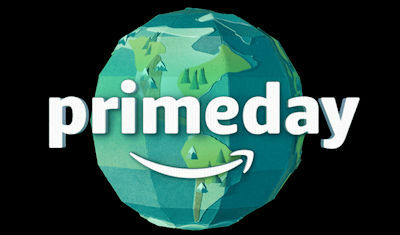 Amazon accounts for 43% of online retail sales with 55% of shoppers beginning their online shopping searches on Amazon. This impressive reach is a factor in realizing a mid-summer Black Friday. Expectations are working in Amazon’s favor. If the retail giant continues to hold Prime Day in July every year, shoppers will become accustom to the annual occurrence. This will lead to some shoppers holding back purchases to see if they can get a great deal on Prime Day. The question is how many shoppers and how many purchases will be postponed until Prime Day. This will dictate whether Prime Day ever elevates itself close to the deal energy of Black Friday. Achieving a mid-summer Black Friday may be too lofty. Also, Amazon probably is less concerned with achieving the holiday level spending in July, and more focused on increasing Prime Membership. Through many efforts (including Prime Day) membership continues to grow. Prime Membership grew a 43% in 2016. Not bad. A final thought is the timing may be right for Amazon. Let’s face it, they already dominate holiday spending for online shoppers. July may be an optimal time for a shopping event to increase spending, Prime Membership, and creating PR for Amazon.